Alberta Off Site Backup Protection! Concerned about the "Storms" of life? Our managed off-site data packages will prepare you for "The Worst". 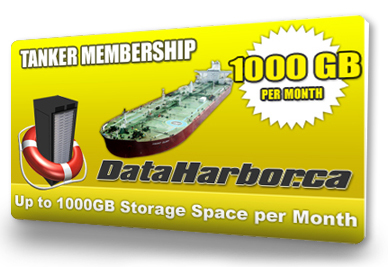 Data Harbor is where Canadians safely store their data. Award winning software will have you resting easy. 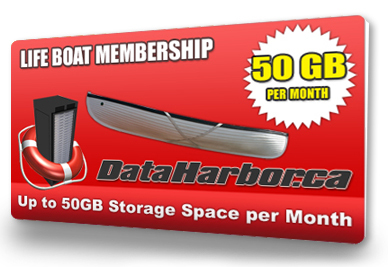 Call us today for a Free Trial Data Harbor is an Off-Site Managed Backup Service which means you have us on your side making sure your backups are always working! 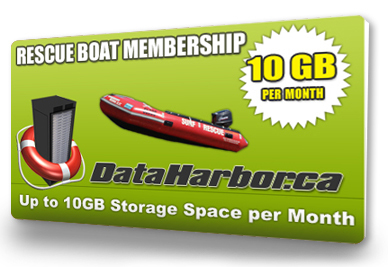 Click on the card or membership descriptions below to sign up for the data package that covers all your online backup needs. If your not sure contact us for assistance. All plans below come with 30 day free trials, pick the plan you think will cover your most important data, you can upgrade at any time. 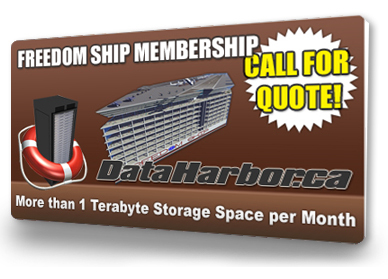 Do you have off site storage needs of more than 1 TB? Please call us today at 403-352-9399 or use our Contact Us form so we can call you back.